Let’s start with cancer, subjectively one of the most claimed therapeutic uses of cannabis. There are 100 to over 200 different types of cancer (the actual number depends on how some researchers subdivide some cancer types) in humans. And each of these different cancers have different pathophysiologies, different genetics, different prognoses, different causes, and different treatments. In other words, it is not one unitary disease which might someday have one unified course of treatment. This is one of the biggest myths about cancer. Cancer usually takes numerous, up to 10, independent mutations in a population of cells before it can become a growing, metastatic cancer. Each mutation is selected, as in natural selection, because it provides some benefit to the cancer cell, such as causing blood vessels to supply the cells for nutrition and oxygen, or the ability to divide rapidly, whatever the feature is. They aren’t “naturally” a part of the cell, but are caused by a mutation. And these mutations are more or less random, and they can’t be prevented by anything special–if only it were that easy. There are a few things you can do to prevent cancer, and smoking cannabis isn’t on that list. In fact, avoiding environmental toxins, such as smoking anything, might reduce the risk of cancers, so there’s that. For marijuana and cancer, we should review some of the better studies in marijuana research on cancer. Most of the cannabis and cancer research is primary–it has yet to be repeated widely, and there is little or no clinical evidence which can be used in systematic reviews of cannabis, which would form the basis of evidence based medicine of using cannabis in a clinical setting. Colon cancer. In a recent article, researchers examined the effect of cannabidiol, a non-psychotropic ingredient of cannabis, on chemically induced cancerous colon cells in cell culture. The authors concluded that it could prevent colon cancer. Now, if I was harsh about mouse research as being an indicator of clinical success, I’d be harsher about cell cultures. This was tested on chemically induced colon cancers, which may or may not have the same pathophysiology of in situ colon carcinomas. And once again, we lack any clinical evidence that it might work in humans, but I guess this is another bet into the 0.4% chance column. Glioma. Junk medicine hawkers have been pushing hash oil to “cure” gliomas, a type of malignant brain and central nervous system cancer. It is based upon some preliminary research on just 9 patients in Spain. Only two of the patients survived more than a year, while the seven others had a course of the disease not different than what is experienced in typical treatments of gliomas. In fact, in the two patients who survived the longest (yet still died), the effect can be attributable to spontaneous (but temporary) regression of the disease, a fairly common event. In a review of these studies and claims, Dr. Harriet Hall stated, “I didn’t find anything I would call “earth-shattering” or even anything that could be considered credible evidence that hash oil can cure advanced gliomas.” At this point, there is no supporting evidence that hash oil should be considered as the first, second, third, or fourth line of treatment for gliomas. Right now, we have observations (which are just barely above anecdotes on the scale of scientific evidence) that hash oil might work under the right conditions–but we have no real evidence that any of those suppositions are true. None. Clinical trials involving cannabis and cancer. There are currently 8000 clinical trials that are recruiting patients for anti-cancer drugs (and over 19000 that are closed to patients), and as far as I can tell, there are none registered for marijuana, or isolated cannibinoids, dronabinol and nabilone. On the clinicaltrials.gov website, which tracks every clinical trial registered across the world (and in case you’re going to ask, no one would have a real clinical trial and not register it, since it shows you have regulatory approval to begin a trial), there is precisely one cannibinoid being used to treat cancer, and that is Sativex, which is a patented drug of nabixomols isolated from the marijuana plant. This study is just a Phase 1 trial, it hasn’t recruited any patients, and is years from providing us with any meaningful results. Irrelevant. Unless you are a patent attorney trying to protect all potential medications without knowing if it really works or not. There might appear to be a lot of research into cannabis using cell culture and animal models, but none have been transferred over to human clinical trials. This is not unusual, because even though it seems that there is a lot of research into cannabis and cancer, the total mass of research into other compounds with respect to cancer is substantially larger, because the evidence for both mechanisms of the treatment and clinical successes for these other products are much higher. Cannabis research is a tiny speck (though not an insignificant speck) of the cancer research world, compared to the vast body of research currently ongoing into thousands of other compounds. Cancer research isn’t randomly throwing compounds at cells and seeing if they work or not, it’s a logical process to determine if a compound has a reasonable chance of inhibiting some part of the cancer growth or development. There is some potential for cannabis, but it probably doesn’t compare to what is currently in the 27,000 compounds in current clinical research, and, in a business sense, the return on investment for researching compounds that have better understood pharmacologic mechanisms of action on cancer are higher. If we ever uncover clinical evidence that marijuana “cures” breast cancer, Big Pharma will spend the money researching which molecule is actually responsible, the over all toxic dose, the amount necessary to kill the cancer cells, and how to deliver it. 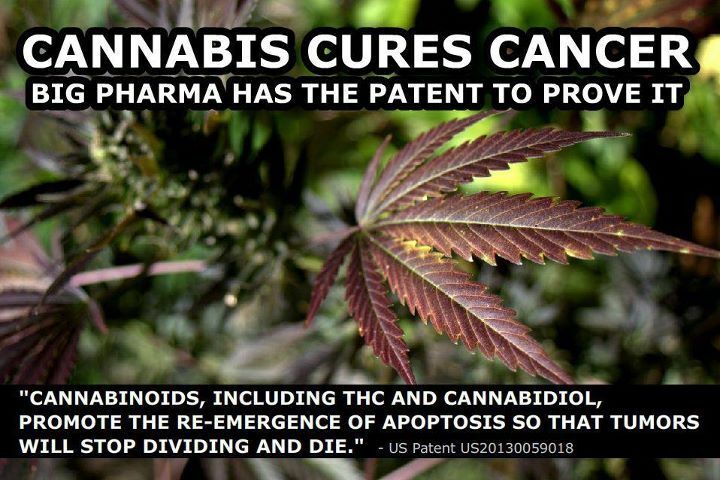 And then they will patent it, because they did all the hard work, and they will get $10,000 a dose (just a guess). So, let’s be clear, there is ongoing active and robust research in the roles of marijuana (and it’s constituent chemicals) in preventing or treating cancer. However, it takes decades to move from preliminary data from animal or cell culture studies to clinical trials that become the basis of a new drug application. And we’re not there yet. See the next article in this series, Part 3, Marijuana and neurological disorders – assessing the science. It’s important to understand that only a tiny percentage of therapeutic cancer drugs make it from an animal study clinical trial (about 5%), and even then, only about less than 8% (pdf) of oncology drugs that enter clinical trials actually end up being approved for use in humans. In other words, there’s only a 0.4% chance of any drug that’s being tested on cells or mice is ever going to end up being approved for human use. There is no nefarious conspiracy going on to block these drugs, it’s that in clinical trials the vast majority of these compounds fail to show effectiveness beyond their safety issues. And in cancer therapy, sometimes drugs that have a 51:49 benefit to risk ratio, and only keep a person alive for a few months get approved. So, the ones that don’t make are remarkably ineffective or unsafe. There is just no evidence that cannabis will treat or prevent breast cancer in humans. None. But let’s hope that it will fall in the 0.4% category. In one study, the researchers determined that it would take a concentration of cannabinoids of approximately 10 µmol/L to cause the death breast cancer cells in cell culture. This converts to around 3.14mg/L of THC. So, you’d have to assume that to kill any breast cancer cells, you’d need at least a blood level of 3.14 mg/L to achieve breast cancer cell death. So how close to that 3.14 mg/L can we get by just smoking a joint or two? According to research, smoking one joint will give you a blood level of THC of around 1.3-6.4 ng/mL serum, or about .00013-.00064 mg/L. In other words, to get an anti-cancer effect (for which there is no evidence at this time), you need to light up around 1000 joints per day. Yes every single day until every single breast cancer cell would die (again, no evidence that it can). Of course, your lungs couldn’t tolerate that, nor probably your ability to function in any “normal” manner. Of course, you could consume this in other ways, for example ingesting it, but again, you’d need to eat more than 1000 joints (because less digestion is less efficient in absorbing THC than the lungs, which is why it is smoked). And these levels may be more generally toxic to body, in effect killing you.